Credit Application - City Mix Inc.
All material purchased by the Debtor shall be paid within 30 days of purchase unless other prior arrangements have been made. We, the undersigned, hereby certify the above information to be true. 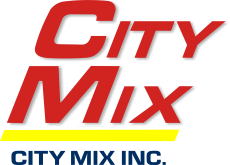 In conjunction therewith, we authorize and consent to the receipt and exchange of any and all credit information considered necessary by CITY MIX INC. We hereby authorize CITY MIX INC. to charge interest on any overdue amount owing on our account. If you would prefer to download the pdf form and print, please CLICK HERE.